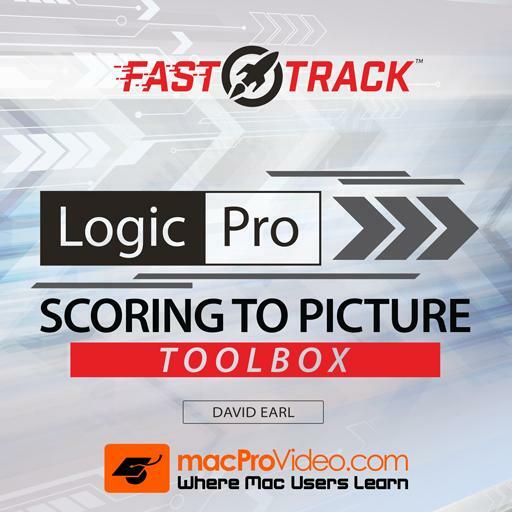 Logic Pro FastTrack 204 - Scoring to Picture Toolbox. What sound is most commonly used for a sync pop? What is the difference between sample rate and frame rate? What is a window burn? A timecode readout that plays back in real time from the imported movie. What is the musical overlap between scenes called? What is a sync pop? An audio indicator that the first frame of the film is 2 seconds away. How can you line up a scene to a bar line in the score? Which of these sample rates is considered the industry standard? If you have a movie starting at bar 5, what should you do immediately? Create a tempo change at bar one. What mode does Pro Tools need to be in to sync up stems correctly? What does the Tempo Operations function do that is unique? What property of a patch is unique? Playback of multiple instruments in a track stack as well as effects busses. Which of these is not found on a spotting sheet? The initials "SMPTE" stand for this. How do you include effects busses in an exported stem? H.264 files can cause problems in large sessions because of this. The compressed file needs to be decoded in real time while the session is going on. This hit the CPU hard.